After nine years of keeping his prostate cancer at bay, the clinical trials and cancer drugs lost their effectiveness. Instead of withdrawing from the world, Jeff Metcalf chose to dive deeper into writing, challenging himself to write one essay each week for a year. That collection of fifty-two essays was chosen by the Utah Division of Arts and Museums as the winner of their 2012 Original Writing Competition. Requiem for the Living contains the best of these essays, selected and reworked by the author, who continues to defy his earlier diagnosis. The essays form a unique memoir, painting a rich portrait of a man who has had a full and engaging life. Funny, moving and profoundly personal, they celebrate living and serve as a reminder to us all. He does not describe a life defined by cancer but rather writes to discover what his life has been, who he has become, and what he has learned along the way. Recipient of the Mayor's Award in Literary Arts at the Utah Arts Festival in 2015. Jeff Metcalf is a professor of English at the University of Utah and has been the recipient of numerous awards, including the Distinguished Teaching Award, the National Council Teachers of English Outstanding Teacher Award, and the Writers at Work Lifetime Achievement Award. His fiction and essays have appeared in local and national magazines. His plays have been widely staged. “I liked this book first for what it is, a cleanly written and fascinating story of a life spent paying close attention to the miracles but I also like it very much for what it isn’t, and could so easily have been, —a work of self-pity, a litany of ills and blaming.” —Brian Doyle, editor of Portland Magazine and author of Two Voices. “This is truly an unusual book! What Jeff Metcalf has accomplished in his collection of essays is to write an intimate and frank book about a life well lived. It is a dear and personal book that increases the supply of affection in the world and adds mightily to our shared kindness. Incisive, personal, and brave, this is a book that will prove bracing company for years to come. 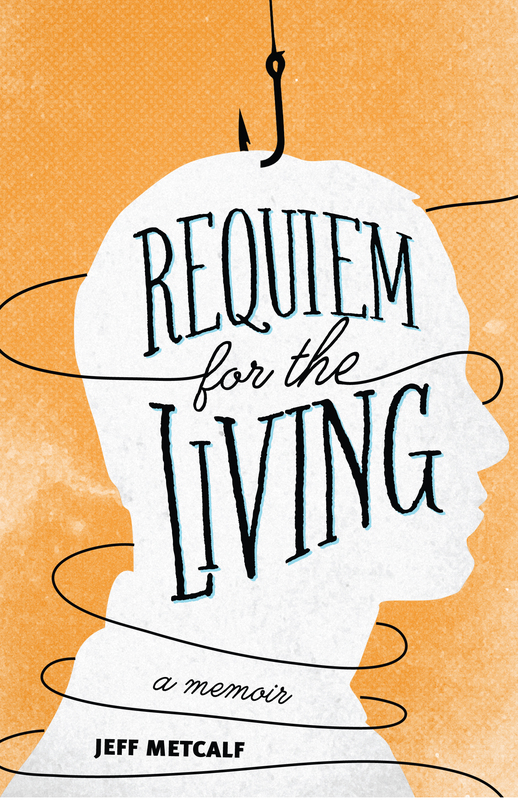 Requiem for the Living is a memoir with a unique wavelength—mine and it should be on everyone’s night stand.” —Ron Carlson, author of: Return to Oakpine, Five Skies, The Signal, The Hotel Eden, and A Kind of Flying.